Winter is my favorite season of the year. 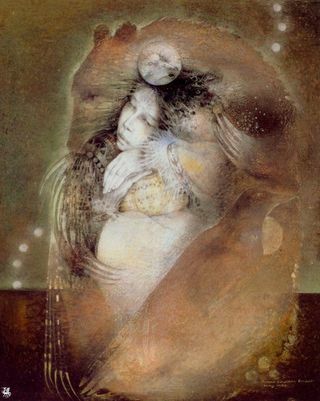 There is something about dark days and long nights that nourishes my soul. 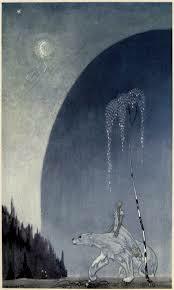 The cold and quiet that comes with deep winter allows me the time to contemplate the direction of my creative work. 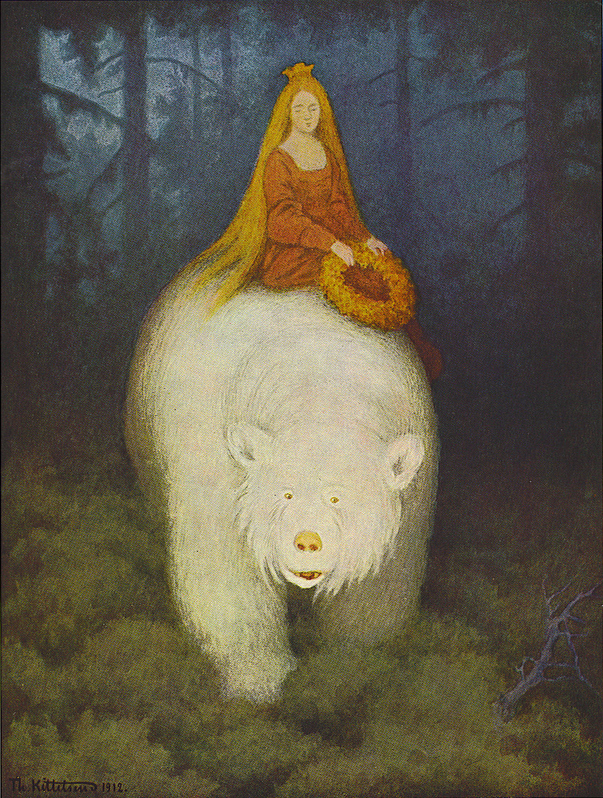 The duality represented by bears presents a balanced cycle that mirrors my own journey through each year. Summer and autumn months offer prime opportunities to explore my surroundings. I collect material, capture color, and walk through the world gathering material for my own personal hibernation. 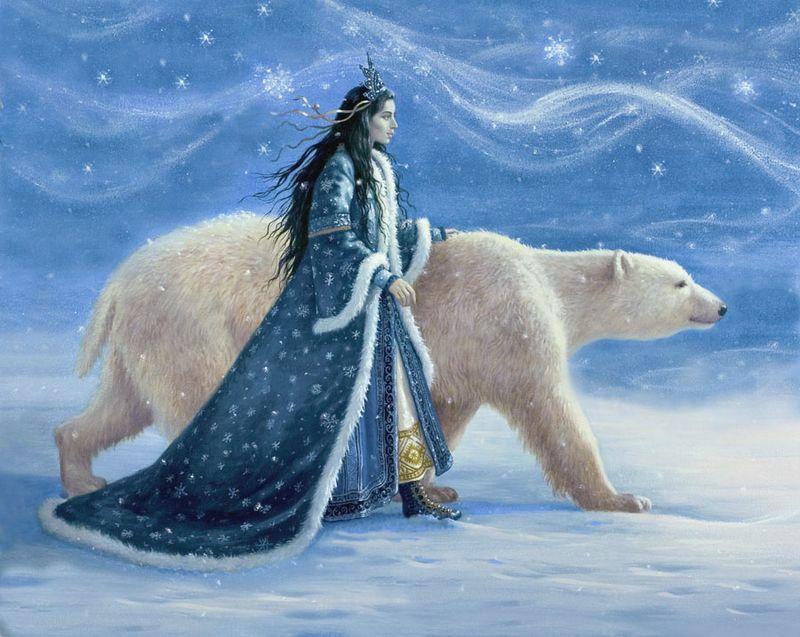 When winter comes, I travel inwards through collected dreams and senses. This is my chosen time for creative work. 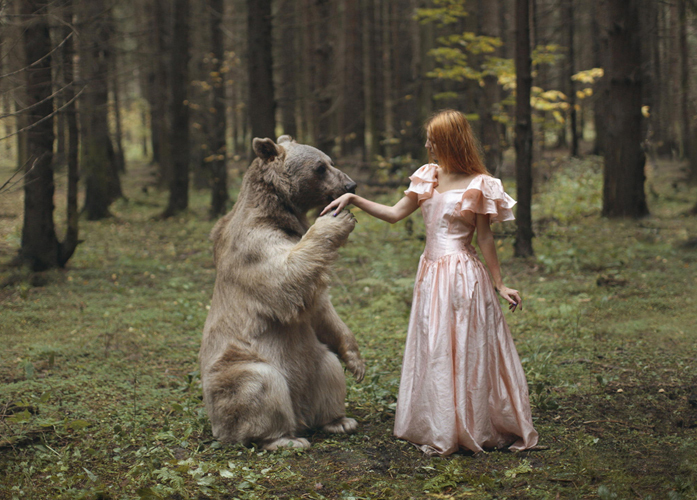 There is a rich history of mythic traditions relating women to bears. 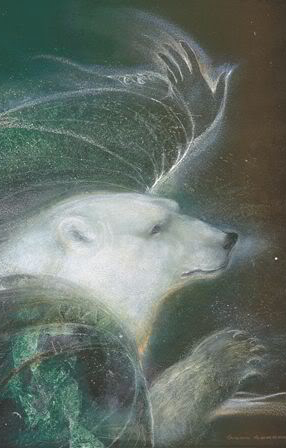 According to J. C. Cooper in An Illustrated Encyclopaedia of Traditional Symbols, bears represent resurrection. 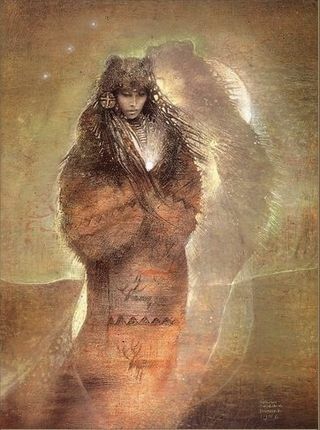 In Women Who Run With the Wolves, psychologist and storyteller Clarissa Pinkola Estés links their transformative and regenerative power to many goddesses around the world. It’s going to be a wonderful year, indeed. 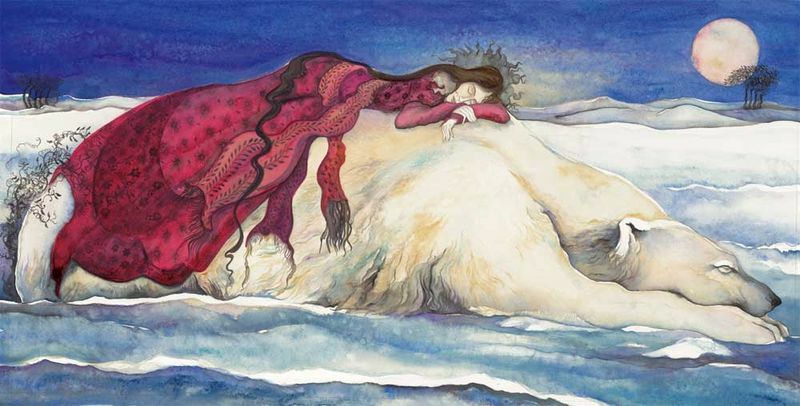 Images: “Playing With the North Wind” by Susan Seddon Boulet (1941-1997), photography by Katerina Plotnikova, “East of the Sun, West of the Moon” by Kay Nielsen (1886-1957), “Hibernation” by Susan Seddon Boulet (1941-1997), “The Snow Princess” by Ruth Sanderson, “Bear Woman” by Susan Seddon Boulet (1941-1997), “The White Bear King” by Theodor Kittelsen (1857-1914), and “Pink Moon” by Jackie Morris.